Remaining strong in the footwear side of fashion, Balenciaga recently released its take on classic derby shoes. The upper of the footwear option is constructed of a dark green smooth leather and features a distinct round toe. 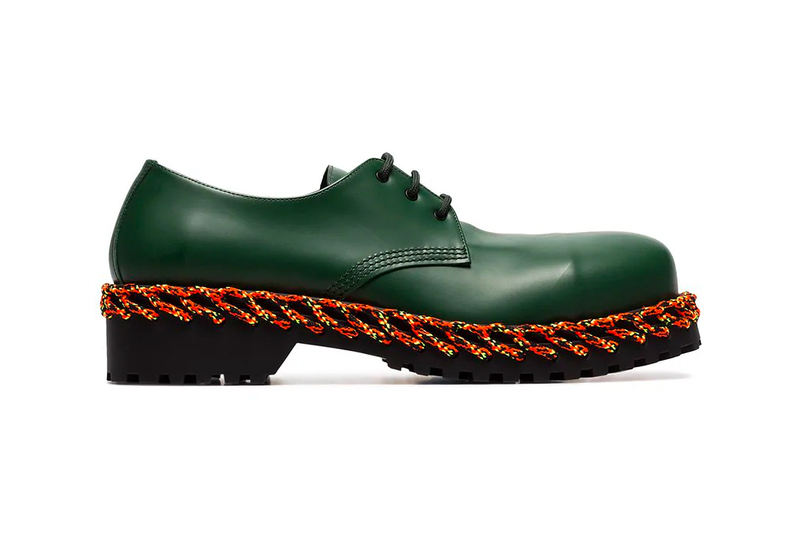 Devoid of branding, a multicolored lace whipstitch detailing wrapped around the chunky black rubber sole serves as the main decoration of the shoe. Priced at $1,090 USD, Balenciaga’s Laced Sole Leather Derby Shoes are available now at Browns. In case you missed it, paint splatter dresses ROA’s latest Andreas Boots. New styles for new times. With magnets for one-handed use. Air Max Day celebrations take place March 26.